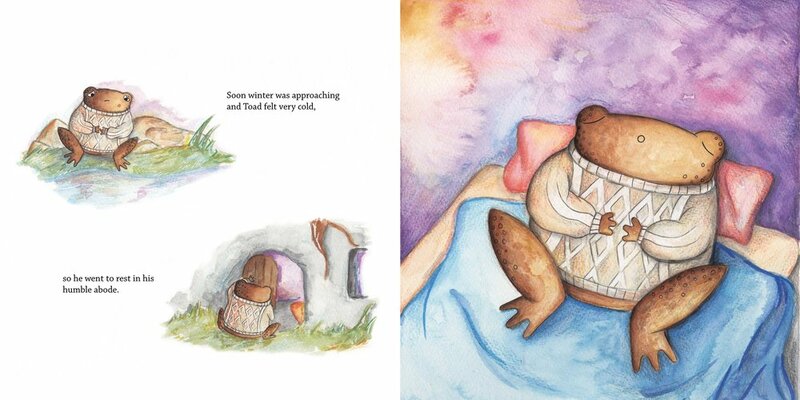 'The Holyrood Toad' is a story both written and illustrated by Kirsty Oxley, and inspired by the annual toad migration which occurs in Holyrood Park, Edinburgh. The story is about a little toad who wakes up from his hibernation a little too late to find his family have already left for their journey to the loch for the summer. On his journey to reunite with his family, he comes across several obstacles. As well as being an entertaining book for children, it also subtly raises awareness of the environment and the animals which live within it and the problems they face.